The backdrop for this wedding was a neutral black and grey color palette with chiavari chair embellishments adding softness to the reception space. 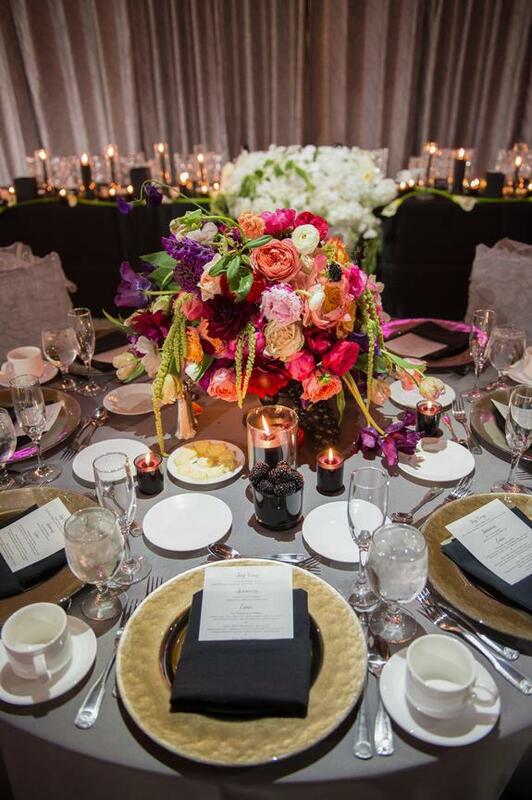 This color palette allowed the bold and striking flowers and accessories to shine. All the makings of a truly unique and spectacular wedding!